The start of another star quilt at a demo for the Fiber Day, Folk Art Center, Asheville, NC. 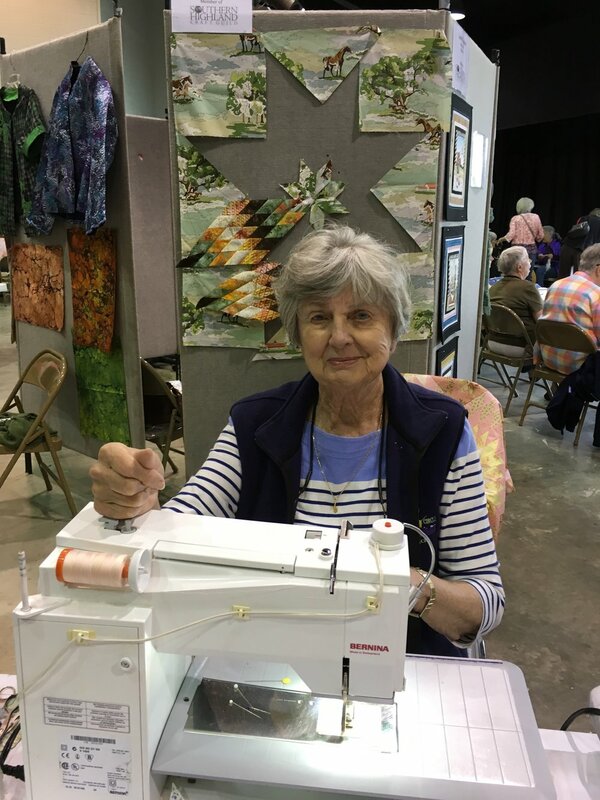 The special fabric, Paint By Number, by Moda was the spring board for this quilt along with a Nine Quarter Circle Ranch class project. But I never guessed where I eventually want it to end up on a bed. After seeing James Blunts Bonfire Heart video I knew that was it’s destination. For sure I recognized all the roads around Yellowstone Park plus the horses, etc. Now the question? How do I get this quilt to him in person, of course. Maybe I will leave that up to my grandchildren who know the concert etiquette. Yes, it was exciting to get a picture with Mark Dunn, President of Moda Fabrics at the Asheville Quilt Show. He related to me that it was his daughter who designed the fabric. Very good! Here it is complete finished in 2016 and longer quilted by Debbie Beaver. 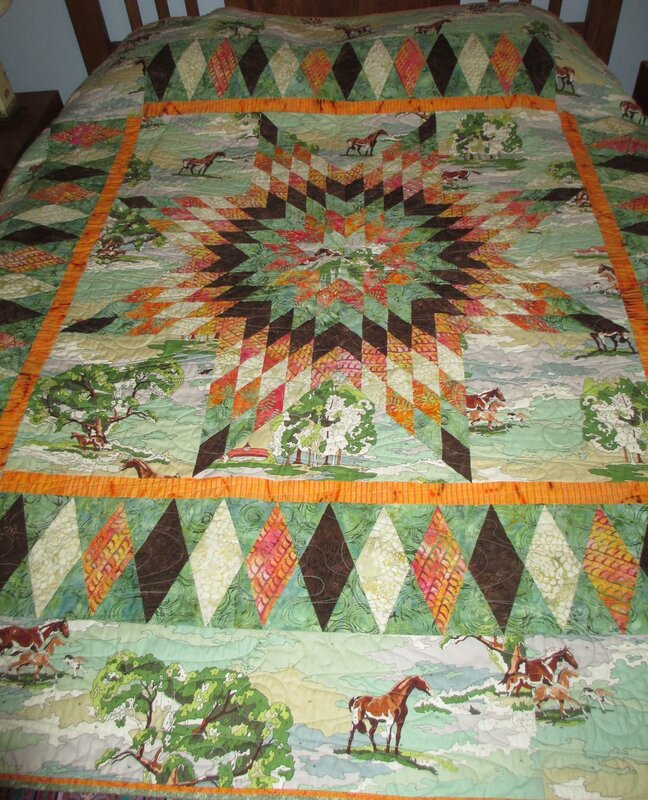 Hope you make your own Lone Star quilt via my new book, Scrap Happy Quilts!